This summer, the Musée d’Art Moderne de la Ville de Paris will present the first major exhibition of contemporary artist Zao Wou-Ki’s work in France for 15 years. This major exhibition, L'espace est silence, will give visitors the opportunity to explore the complexities of his work, particularly the concept of large-scale canvases for which he is best known. Many of the works coming to Paris have never been shown before. 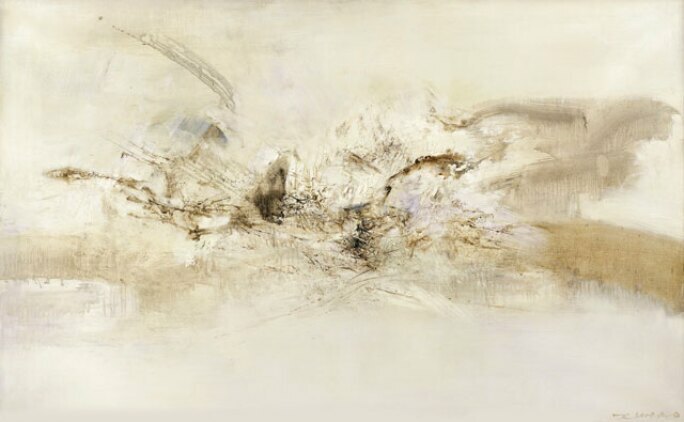 ZAO WOU-KI, 21.03.69. ESTIMATE: €2,200,000–3,200,000. 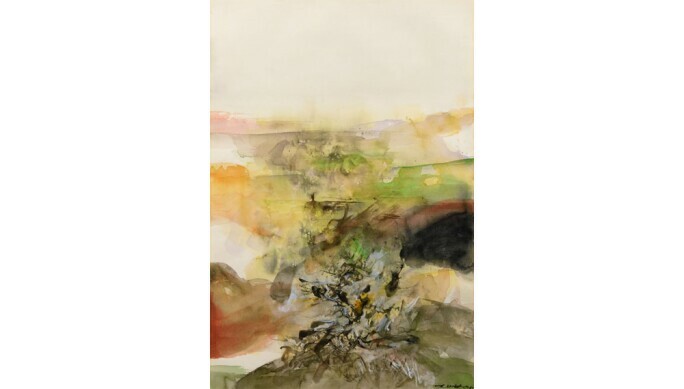 Zao Wou-Ki arrived in Paris in 1948 from China, and is particularly noteworthy for the ability of his work to traverse the various developing aethestic trends in modern art. At once part of the Paris scene, he also drew on the vitality of occidental painting, while allowing aspects of Chinese painting, which he had previously moved away from, to re-emerge in his work. As a result, his work is considered ‘both universal and profoundly Chinese’. ZAO WOU-KI, PLUIE. ESTIMATE: €700,000–1,000,000. 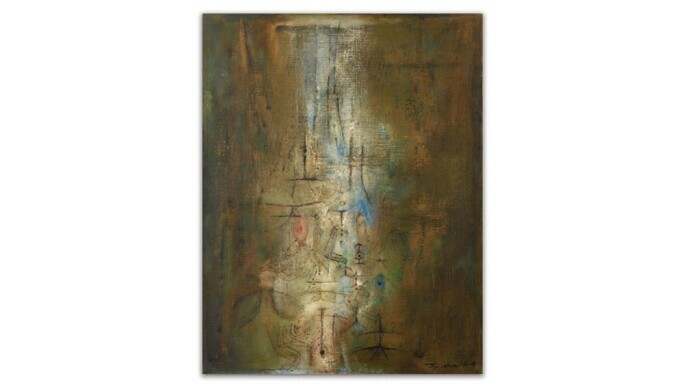 Zao Wou-Ki's formal training as an artist began at the Fine Arts Academy of Hangzhou, where he enrolled at the age of 14 and learned traditional techniques, while at the same time being influenced by postcards bearing the works of Picasso and Matisse. This division in his artistic style eventually found reconciliation in works like 21.03.69, where floating Song landscapes meet the techniques of European oil painting. This stage in his process of stylistic reconciliation is particularly interesting. Pluie, for example, marks his embarkation into the world of abstraction in the early 1950s, moved in particular by his encounter with an important group of works by Paul Klee in Switzerland. ZAO WOU-KI, 16.9.69. ESTIMATE: €800,000–1,200,000. ZAO WOU-KI, SANS TITRE, 1973. ESTIMATE: €80,000–120,000. For more work by Zao Wu Ki in Paris, be sure to visit Sotheby's. 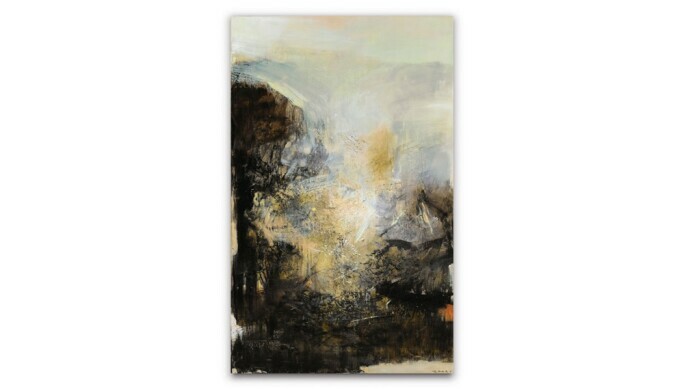 Sotheby’s upcoming Art Contemporain Evening (6 June) and Art Contemporain Day (7 June) sales in Paris will feature five works by this fascinating contemporary artist. CLICK HERE to view the full catalogue for Art Contemporain Evening and HERE for Art Contemporain Day.